Blueberry Donut Smackdown! ~ Diane's Vintage Zest! Beware, this post is a combination of my foodie tendencies, my scientific side and my obsessive need to try everything insatiable zest for life! This is the story of how a couple of girls conducted a very serious blueberry donut experiment, straight from the gym no less. I'm not sure if you subscribe to the Yelp newsletter in your area, but it has been really invaluable for me to learn about what goes on in my area. They usually have a section that recaps the weekend events, and more importantly a roundup of some type of food or activity in the area (acai bowls, local hikes, pho). Some time ago they had a roundup of donuts, so a bunch of the suggestions went on the list. As if I hadn't had enough donuts this week. Now, I was headed to the supermarket after the gym with a friend of mine, and I noticed a few of the donut stops were on the way there. Awesome! There's nothing worse than going to a supermarket hungry. 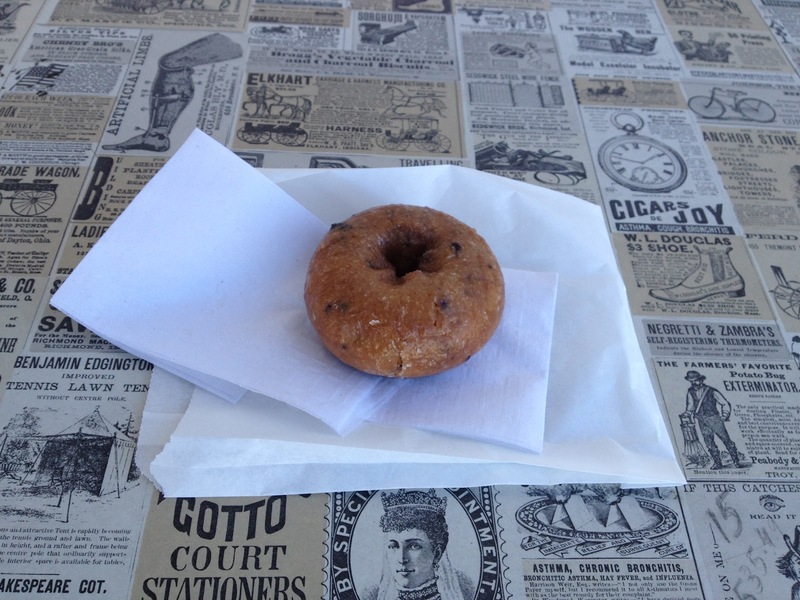 For two of the shops, it was recommended to try the blueberry donut and there was even a crosstown rivalry between them on Yelp. Well, a 0.8 mile rivalry because they're around the corner from each other. 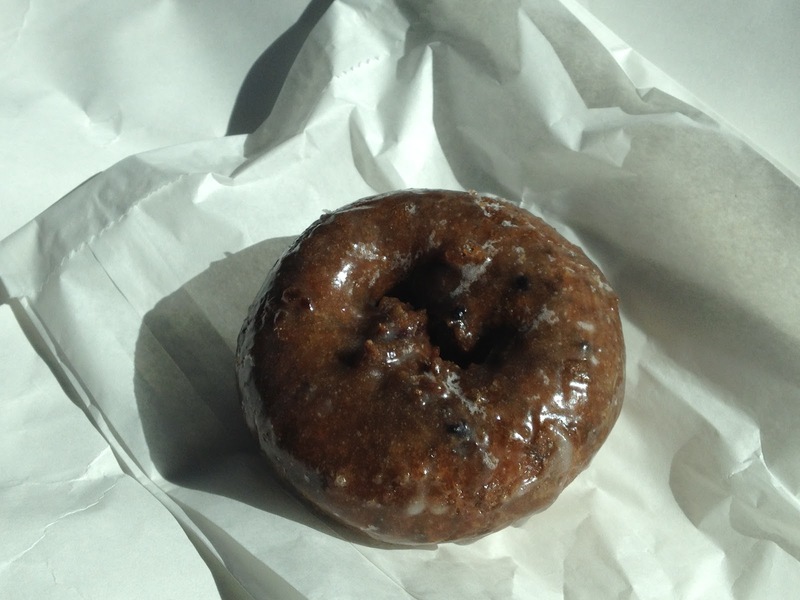 When I checked on the third, people also recommended the blueberry donut and the idea for an experiment was born! There will be no statistically significant difference between blueberry donuts purchased at King's Donuts, Mel's Donuts, and M & M Donuts. Buy and eat donuts, duh! Old school signs with one table in the front. Fancy! A ton of other options besides donuts. I should have taken pictures. Sorry guys! Easily the biggest of the establishments with tons of seating inside. 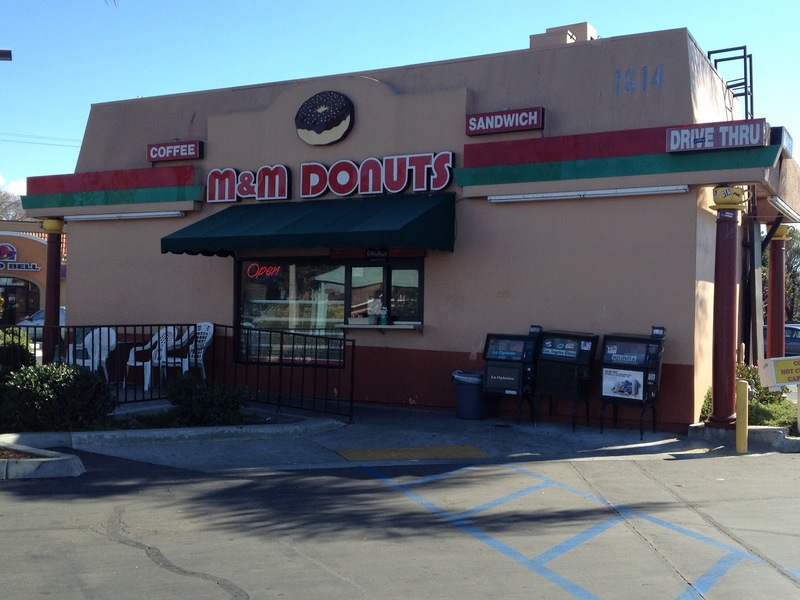 They have a drive thru option, perfect for the sneaky donut eater. Initially, we were disappointed because as we bought each one, it looked exactly the same as the previous one. Boy were we surprised when we compared them side by side! Definitely different colors: three shades of brown (tee hee). From the side, very similar thicknesses. From above, also roughly the same size although the first picture of the post was better. If we were near a scale I could have weighed, but come on, it was time to eat! King's Donuts - Very pillowy and soft. Almost like an angel food cake texture in the middle with a very slight texture difference from the outside. Mild blueberry flavor and mild sweetness. 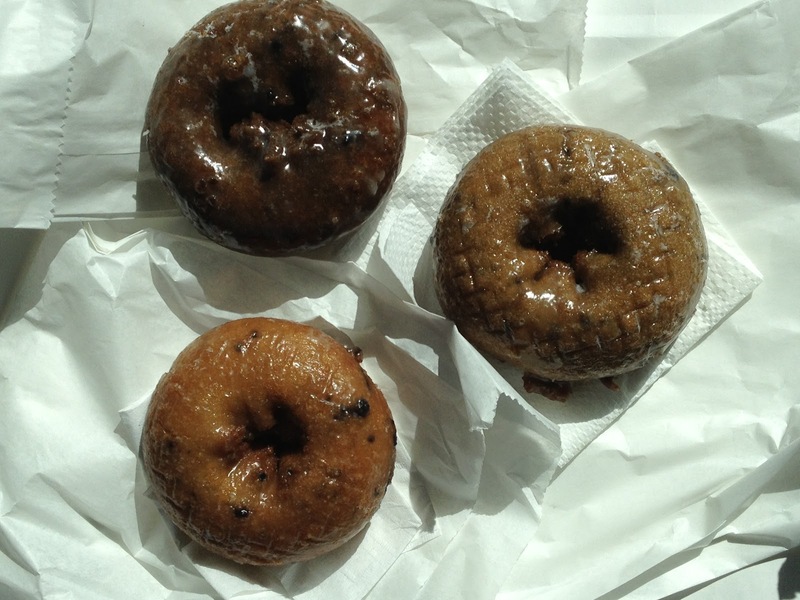 Mel's Donuts - Slightly chewier in texture with more of a difference between inside and outside consistency. Stronger blueberry flavor. M & M Donuts - Very chewy and thick and sweet, resembling a bear claw in both texture and flavor. Blueberry flavor was not overpowered by the sweetness. I can see why there is a cross-town rivalry. Honestly, they were all really great in their own way and I think it all just depends on your taste. People who prefer light airy donuts should go with King's. People who like dense, sweeter pastries such as bear claws will love M & M's. 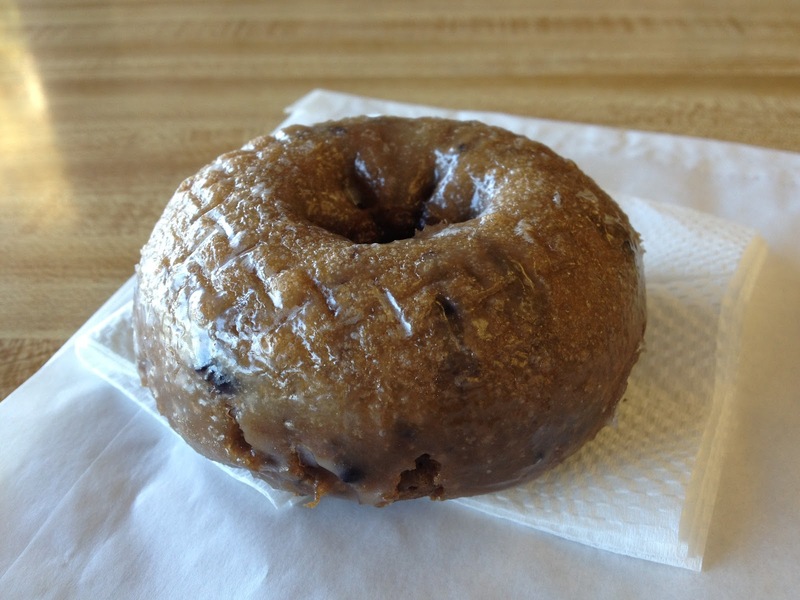 People who like a balance of the two in a classic donut will like Mel's. The only differences I could see is that King's had more blueberries in the batter, while Mel's donuts had a more blueberry taste, and M & M's was the sweetest (but not overly so). We have no conflict of interest to report in the review of these donuts, nor do we have affiliations with the bagel lobbyists or muffin superPACs. Additionally, I did not finish these donuts by myself. The two of us had a quarter of each one, and then she took the remaining halves home for her family. We were coming from the gym, people! Wow, what a fun taste-testing project and love that you did this and compared them all! It was totally fun, and luckily for me (and my waistline) you have baked doughnut recipes that I can rely on if the craving hits again! Ha! Yes, I should clear your mom's name because she wasn't my partner in crime this time. Truthfully, I would have totally dragged her along if she was there! We should plan a taste test of our own, involving something just as yummy. I have the same wish, maybe if we both concentrate at the same time it'll come true? A test taste adventure is a must. 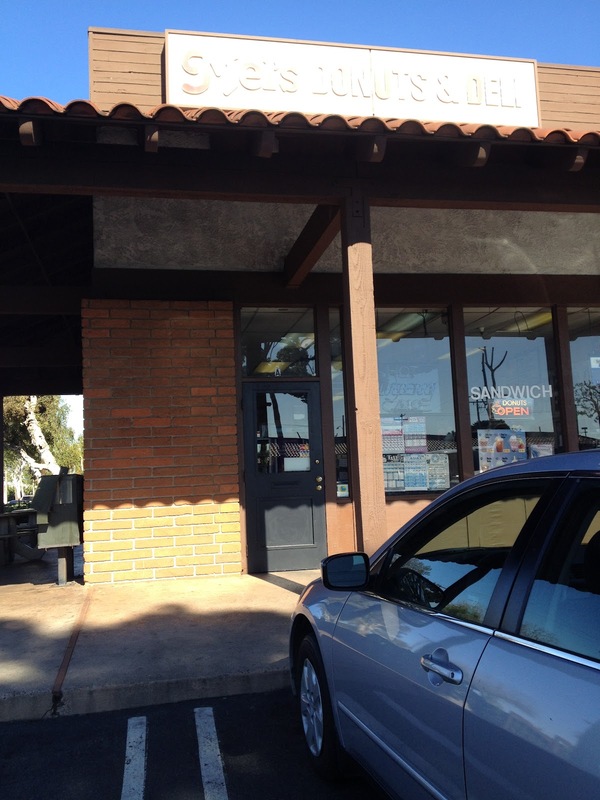 We can savor our meal then lunge to the car! I didn't have a favorite because they were all so good in their own way. If one of them was bad, I would have said so, but they were all really awesome! Apparently the spelling "donut" isn't technically correct, but everyone uses it now and it's widely accepted. No favorite donut shop now, because honestly, I've never had a really bad donut (probably because I don't go to chains). 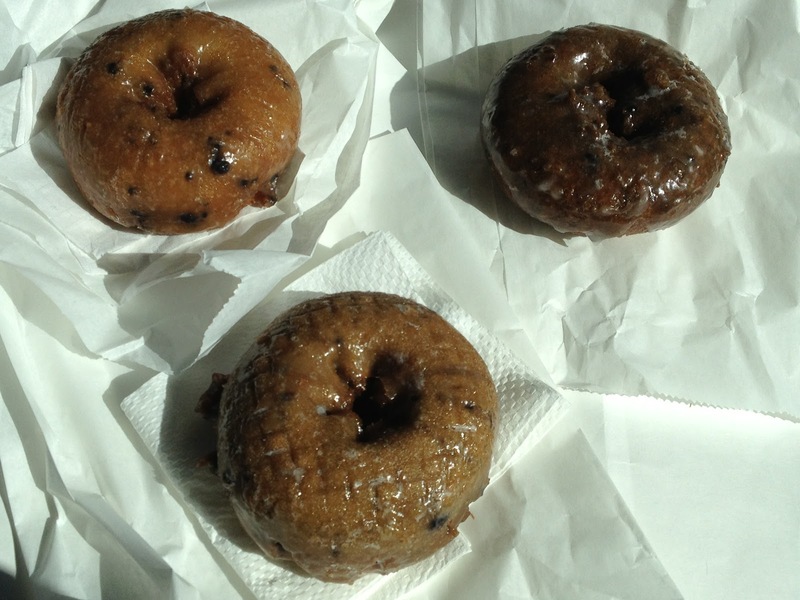 My cousin and I went to Fonuts in L.A. a while ago, and even those were ridiculously yummy without being fried! I laughed outloud.. Have you ever had a maple bacon donut? I can't have pork, but apparently they're really good! I bought one for my guy at the Donut Deli, and he loved it. I took pictures and everything. :) Scroll to the bottom to see all of the donuts in their ridiculous glory.